My Friday Fix (art and writing) is what gets me through the week!!! Here’s what we are doing today! I can’t wait! 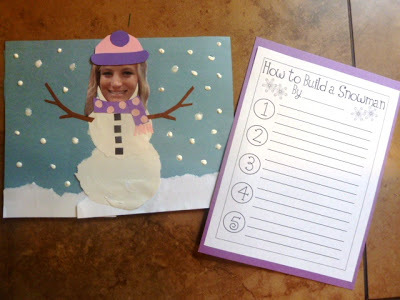 I pulled together 6 of my favorite winter Friday Fixes in this Winter Art and Writing Pack! Down at the bottom of this post you can find the link to buy it. 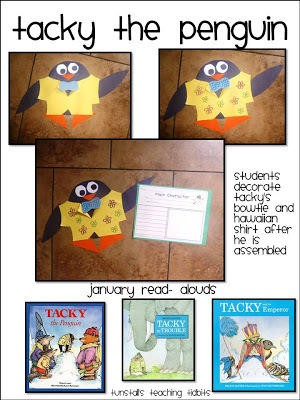 Tacky Templates and a main character writing page for students to fill out after your Tacky the Penguin book of choice! 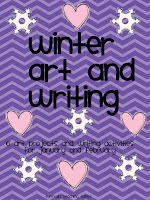 I also went into February with the writing and crafts. 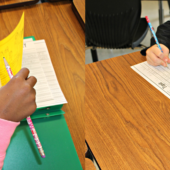 Every craft has templates for making with ease! Let’s Get Crafty! You get 6 different art and writing projects! Your Tacky is just too cute!! 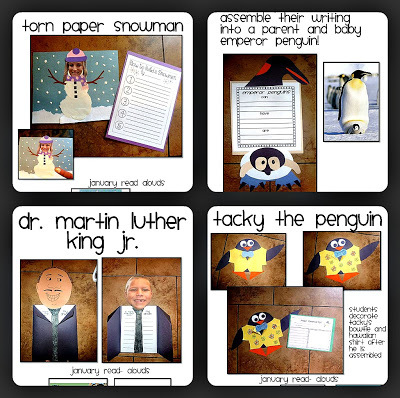 How do your kids handle torn paper projects? Some of my kids get a little bit frustrated . . . I love your blog! I especially like your penguin and Tacky activities 🙂 Nice job! I love love Tacky. My own children quote him often. You cracked me up with what you posted on Kristin's blog! Some of my kiddos would cry and did when we did our torn paper apples in September! Ahhh, threats! That is why our Penguin on the Shelf is coming to visit on Monday! 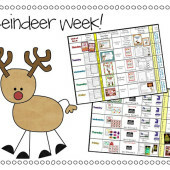 I would love for you to come check out my blog and grab TONS of my *freebies*! Your blog has been such an inspiration to me and your kiddos are blessed to have such a creative and passionate teacher! How many toes does a fish have? How many wings on a cow? I wonder, yup!…… awww I just LOVE Tacky. 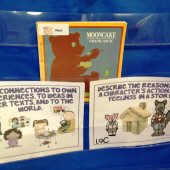 Your Tacky project is awesome. can I just say how much I love doing craftivities??? im so frustrated at the lack of art these kids are exposed to- at home AND at school. art is such an important medium for kids to be able to learn and grow from. it uses a part of the brain that just doing math and reading and writing never hit on, and can make them smarter! This is also my soap. k. for music too….again, the arts are so important and yet the arts is what is getting cut from education…even our kinder and 1st grade teachers are saying what a hard time they are having trying to fit it in with all that has to be taught. ugh! I get it…I do. but this is why I love ur stuff (let's not forget the geometry quilts! )…bc u show how to incorporate the art. lol…sorry. my ranting is done now lol. 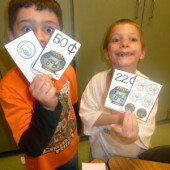 I love how you put your kids faces in the projects. Just adds a certain something! 🙂 We did the snowman tear art, but I had them tear each little teeny tiny piece to fill one snowball, then the next…it took several days. I'm surprised my kids didn't stage a revolt!!!! !